TACLOBAN CITY – Pintados-Kasadyaan Festival has gone a long way, all the nine participants this year are qualified to join the Aliwan Festival in December, Ms. Ellen Fullido of Manila Broadcasting Company and Aliwan Festival exclaimed after watching the Pintados-Kasadyaan Festival in honor of Santo Niño, on June 27 at the Leyte Sports Development Center. Hearing the remarks of Ms. Fullido, Leyte Governor Carlos Jericho Petilla was quick to say that only the first two winners will join the Aliwan this year. Knowing how much is spent in bringing festival contingents to Metro Manila, it is no wonder that the Governor, who runs the Provincial Government of Leyte, the way he runs his lucrative family business, had a ready reply. Ms. Fullido is a familiar face in the Pintados-Kasadyaan annual festival because she comes every year, a ready letter in hand to invite the winners of the Festival. This year’s festival championship trophy went once again to Abuyog, Leyte’s Buyugan Festival, one time Aliwan Festival Champion and Sinulog Festival Champion. 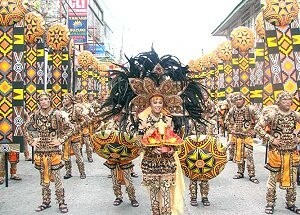 Coming in as the first runner up is Dulag, Leyte’s Karatong Festival which won fourth place in the Aliwan Festival 2009. The second runner up trophy was awarded to the Viajedores Festival of La Paz, Leyte. The third runner up in this year’s festival is the Pasaka Festival of Tanauan, Leyte while the Pinilipig Festival of Sta. Fe, Leyte was awarded the fourth runner-up trophy. Nine festivals participated in this year’s spectacular Pintados-Kasadyaan Festival which never fails to make Leytenos proud of their rich culture. Among the seven Pintados tribes, the championship award was presented to the Tribu SPAS Tanauan which is a community youth group in Tanauan, Leyte. The second place went to Tribu Buskada while the third place was bagged by the Kasiruman. Per the permit granted by the City of Tacloban, the Pintados-Kasadyaan Festival street dancing parade started right after the 7:30 in the morning mass at the Leyte Sports Development Center. For the first time in the Pintados Festival’s 24 years of existence and in the Kasadyaan Festival’s 15 years of existence, the city of Tacloban only allowed them to take the route only until Burgos Street for reasons that the three other main streets will be used by the City’s Sikad-sikad race. Despite such predicament, the Pintados-Kasadyaan Festival parade was just as if not more spectacular as in the past years. Only allowed to use one lane of the narrow Burgos Street, the organizers led by Mayor-elect Remedios Petilla who is the chairman of the festivities this year and the youthful Governor Carlos Jericho Petilla, lauded the spectators who provided enough space to the participants to do their street dancing. The spectators did not complain despite the heat of the sun and the inconvenience caused by the narrow streets and spaces in the routes. TACLOBAN CITY – Secretary Ronaldo Puno of the Department of the Interior and Local Government (DILG) yesterday thanked his fellow officials and employees for “the four most productive years” of his career and bade them farewell as he embarks on a new life as a private citizen on June 30. 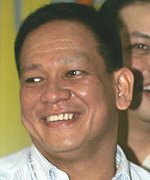 Puno, who was appointed by President Arroyo as DILG Secretary in 2006, said that whoever takes over his post under the new administration will “find that the Department is in good shape” because of the initiatives it has undertaken on his watch to strengthen local governance, better maintain peace and order and enhance public safety. He shared his accomplishments as Secretary with the men and women of the Department, saying that the array of capacity building programs for the local government units and the groundbreaking projects to boost the capability of the Philippine National Police and the other attached agencies of the DILG would not have been possible without their cooperation, hard work and perseverance. “Once again, thank you to all of you. Thank you for the great experience. Thank you for the four most productive years of my life,” Puno said during a thanksgiving get-together organized in his honor by the DILG’s officials and employees at the Camp Crame Multipurpose Center in Quezon City. Puno started his career in the government service at the DILG 36 years ago as one of its youngest assistant secretaries. He also served as its Undersecretary and later, as Secretary, during the Estrada administration. Puno is credited with having competently steered the DILG through its most difficult challenges and having inspired its men and women to work harder in serving their fellow Filipinos. 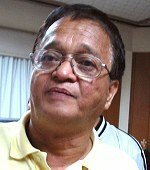 On Puno’s watch, the budget of the DILG increased by 44% from P43.6 billion in 2006 to P62.9 billion in 2009, which allowed it to implement programs and projects to strengthen local autonomy; hire more policemen and public safety officers; procure additional equipment to better maintain peace and order; and increase the salaries and pensions of its rank-and-file. On the local government front, among a few of Puno’s most notable accomplishments were improving the capability of LGUs in addressing calamities and cutting red tape; and the implementation of the single biggest road project in the countryside under the P3.8 billion Australia-funded Provincial Road Management Facility; and the P704-million Local Government Support Program - Local Economic Development (LGSP-LED) project, which helps LGUs enhance the exercise of their corporate powers. Further, training programs for new officials in 2007 and 2010 were updated and revised to be responsive to the clients’ needs. Under Secretary Puno’s leadership, the Department adopted for nationwide implementation the Local Legislative Awards, which started in Eastern Visayas in 2001. Several local government units in the region also won recognition in various award-giving bodies in the same period. Likewise, a new DILG regional office was completed in 2007 with the help of Secretary Puno in place of the one that was razed by a fire in December 2004. Speaking during the program “[in] my last speech, I think, as a public servant,” Puno quoted the late Sen. Edward “Ted” Kennedy of America in describing the experiences he had shared with his DILG family during his four-year stint at the Department. “Let me say a few words to all those who have supported me….To quote Sen. Ted Kennedy: ‘There were hard hours on our journey and often we sailed against the wind. But always we kept our rudder true, and there were many of you who stayed the course and shared our hope. You gave your help, but even more, you gave your hearts,’ ” Puno said. MAASIN CITY – The secret to keep alive this city’s port is to go on building an alternate pier with roll-on, roll-off facility located in barangay Guadalupe, a coastal village some twelve kilometers south from here, which can serve as an all-weather transit point of passengers to and from the port of Ubay, Bohol – and even Cebu. In fact, the Guadalupe port was listed in the nautical highway envisioned by outgoing President Gloria Macapagal-Arroyo in her super regions plan to connect the Visayas islands to Luzon and Mindanao via the Ubay, Bohol, port which, incidentally, she inaugurated Monday, June 28. City Mayor Maloney Samaco, in a news conference at his office yesterday, revealed that he had talked with Rep. Roger Mercado for the city local government unit to take the initiative of developing the new port with its huge potential on income generation for the city and an expected boom of the village’s local economy. Officials and the people of Guadalupe are very much willing to have the city build another facility near an unfinished private port, Samaco reported, adding that they are even okay with relocating their barangay hall just so the anticipated project can be materialized. Asked how soon this could be done with the Guadalupe folks’ open support, Samaco said he will set his sights on this one this year or within his second term, in close coordination with Rep. Mercado and Gov. Damian Mercado. Samaco disclosed that in his meetings with several shipping companies, the Guadalupe docking point was preferred especially during “habagat” or southwest monsoon season where big waves pummeled the city’s main port. Besides, the substitute point is much closer and less costly, operation-wise, either to Ubay, Bohol, and even Cebu, and with this many shipping companies pledged to open routes with the Guadalupe port, giving the city a competitive edge over nearby Bato and Hilongos ports. TACLOBAN CITY – Ms. Maybelle Holanda of Palo, Leyte and a college student at the University of the Philippines Tacloban Campus was crowned as Ms Pintados 2010 before midnight of June 25 at the LNHS Gym, in a well organized pageant hosted by young heartthrob Jurus Gamboa and the reigning Ms. Pintados. Miss Pintados 2010 was crowned by Former Governor, former congresswoman and Mayor-elect of Palo, Leyte, Hon. Remedios L. Petilla and Pintados Founding President, Tanauan Mayor Roque Tiu. Miss Gianell Marie Carian of Pastrana, Leyte, was proclaimed as the first runner up. Her awards were presented to her by PIA 8 Director Olive Tiu and Mr. Erwin Alcala. Dagami, Leyte’s Miss Aira del Pilar was chosen as the 2nd runner up. This pretty student of De La Salle’s St. Benilde who was among the favorite of the crowd was awarded by PIA 8 Director Olive Tiu and the Operations Manager of APAC. Ms. Del Pilar was also chosen as Best in Swimsuit, among others. Chosen as the 3rd runner up is another crowd favorite, Miss Trishia Dawn B. Daffon from Palo, Leyte whose awards were presented by former Ms Pintados Lourdes Golong. Miss Daffon was also awarded as the Most Popular Candidate, Best in Gown, among others. Fourth runner up was Barugo’s Monique Ayes while Ormoc’s Darling Lelibeth Lourine Pelicario was chosen as the Most Photogenic. Among the distinguished board of judges were Don Pedro Rodriguez of Spain who is the Director of the Instituto Cervantes in Manila, former Ms. Aliwan and former Ms. Pintados Trisha Veloso, former Ms. Pintados Lourdes Golong, this year’s Sto. Niño Fiesta Hermana Mayor Mrs. Agaton and the operations manager of APAC Leyte. Now on its 24th year, what makes the Search for the Miss Pintados different from the usual beauty tilts is its being a beauty and talent Search with a cause, that of making the candidates appreciate the qualities and values of a true Filipina, realize the spirit of volunteerism and their social responsibility particularly for the well-being of the street children of the Region. Caring for disadvantaged fellowmen and working for them without waiting anything in return is most fulfilling. Watching the street children and the candidates playing parlor games together, eating the same food together, this writer wonders who was enjoying who more. To the writer, the players are all the same youthful children playing and sharing fun together, no barriers, no rich or poor, no one beautiful and ugly. There is a wonderful law of nature which states that the three things man crave most in life – happiness, freedom and peace of mind – are always attained by giving them to someone else. The Ms. Pintados candidates do not discover and enhance their God-endowed talents, they also find their heart and happiness in sharing their time and charm in bringing happiness to the street children. This is the secret why the Search for the Miss Pintados continuous to attract contestants every year for the last twenty years, it is a search with a difference. This is the reason why most of the Miss Pintados candidates become volunteers to the various Pintados Foundation undertakings long after the Search. This is the secret to the success and more beautiful aura of the candidates after the Search. Indeed, there is no beautifier of complexion or form or behavior, like the wish to scatter joy and not pain to the people who need people. It is good to share a meal with disadvantaged, and bring joy to those who have almost forgotten what smile and joy is all about. For as long as the Search for Miss Pintados of the Pintados Foundation is able to mobilize people into action, building real people and future leaders in the process, able to build real people, and for as long as the people will continue to accept and support the cause of the street children, the Search for Miss Pintados is here to stay. CAMP LUKBAN, Catbalogan City, Samar – Another 200 young blooded applicants for the prestigious candidates soldier course were warmly welcomed by the Army’s 8th Infantry Division through a traditional opening ceremony followed by a military reception at Camp Downes, Ormoc City, around 10:30 A.M., on Saturday. The newly opened batch of candidates is part of the 600 quota allocated by the Philippine Army to 8ID to complement both operational and administrative requirements of the command in terms of personnel matters. It can be recalled that 200 candidates on the first batch were opened last May 12 and is still undergoing their basic military training at Camp Lukban in Catbalogan City while another 150 candidates were opened last June 16 and now in Camp Daza, Hinabangan, Samar also for their basic training. This new batch will undergo their basic training in Camp Downes, Ormoc until they graduate. Just like in previous opening, the ceremony was also graced by the 8ID’s Chief, Major General Arthur Tabaquero as speaker. He reiterated to the new batch of candidates the same reminder he gave to the first two batches. He told the candidate soldiers that taking an oath means being separated from their families that they have to overcome it as they overcome the tough and rigid training. “As your training goes on, you will be honed and developed into disciplined, determined, courageous, mentally sharpened and loyal soldiers of our nation”, General Tabaquero includes. “May you value the opportunity of being one of the chosen out of the thousands who keep on dreaming to join the ranks of the living heroes”, the good general adds. "Rest assured that you will be trained professionally by our professional trainers and instructors to the best of their capabilities", vowed Tabaquero. Despite of distance from Camp Lukban, the top military officials and enlisted personnel of the command went over to Ormoc to support the incoming soldiers of the region. The trainees will undergo 13 weeks of rigid military training before they undergo the 45-day Jungle Warfare and Mountain Operation Course (JWMOC) as their specialization phase. CATBALOGAN CITY – Newly-elected Samar’s First District Representative Mel Senen Sarmiento will pick up what then Rep Reynaldo Uy left off as regards pushing for a bill creating Northwest Samar province. In an interview over Radyo ng Bayan DYOG by Jennifer Allegado, Sarmiento said that he believes the move will spell an economic improvement not only in the first district but even in the whole Samar province. As Sarmiento always claims in his speeches, he said that it is sad to note that despite Samar’s being the third largest island in the Philippines, it remains poor. The provincial seat of government is located in Catbalogan, the second district of Samar and is 87 kilometers away from Calbayog. First District folks in the past claim, that the provincial government is not keeping an eye on them and that they have long been neglected. Sarmiento cited small provinces like Southern Leyte and Siquijor that have flourished. Because of size, a smaller area is easily managed by its leaders, the official noted. TACLOBAN CITY – The Regional Development Council of Eastern Visayas has included the private media in the Region among the private sectors which will be represented in the policy-making body for regional development from 2010 to 2013. RDC Eastern Visayas, during its quarterly meeting held at the NEDA Conference Hall on June 23, discussed the guidelines for the selection of private sector representatives who will comprise about 15% of the RDC membership. DBM Director Imelda Laceras who is the Development Administration Committee chairperson suggested the inclusion of the private media among the private sector representatives. Asked about her opinion regarding the suggestion, PIA 8 Director Olive Tiu remarked that hers is a bias opinion because she has always been advocating the inclusion of information and communication in planning and implementation processes. The PIA Director added that the inclusion of the private media in the highest planning body in the region is an acknowledgement of the crucial role the media plays in nation building and development. Since there was no objection from the RDC members present, the private media sector will already be included in the PSRs list. As to who among the bonafide media practitioners will seat at the RDC, this will only be known after the election from among the nominees who will meet the qualifications required. Pursuant to Section D of Executive Order No. 325 series of 1996 as amended, membership of the reorganized Regional Development Council shall include representatives of the accredited private sector and non-government organizations based in the region and their total representation shall comprise one-fourth of the members of the fully constituted council. Of the 15 PSRs needed, 8 slots will be territorial PSRs representing the 6 province and one each for Tacloban City and Ormoc City. The province of Leyte will be represented by one from the sector of the Academe; Southern Leyte from the Environment sector; Biliran, from the Cooperatives sector; Samar, from the Fishery sector; Easter Samar, from the Tourism Sector; Northern Samar, Agri-Business; Tacloban City, Banking sector; and Ormoc City, Energy sector. The remaining 7 slots are for the sectoral representatives of Labor; Small and Medium Enterprises/Chamber of Commerce; Rural Workers; Health; Transportation; ICT; and Private Media. MAASIN CITY – Have waste papers, and this city will turn it into shredded pieces to be molded into rounded fuel bricks, or somewhat like a white charcoal, to be used for cooking. This much was observed in a demonstration activity Friday morning at the city motorpool area, where a big crusher or shredder churned out tons of pre-wetted garbage papers for further processing into a round mold about one-inch thick and about four inches in diameter. The resulting recycled finished product, which was usually burned in bulk if not treated in this manner, will be used mainly as a fuel in much the same way an ordinary coconut or wood charcoal is used as burning fuel for cooking in the kitchen. The project, which is being closely coordinated with Congressman Roger Mercado’s office and Gov. Damian Mercado, is still in its preliminary stages preparatory to be introduced into the market as a substitute for commercial charcoal the soonest time possible. But aside from recycling ready-to-burned bundles of papers especially those coming from local banks, the project has a rider benefit: for every kilo of to-be-disposed paper given by banks or any other office, a tree seedling will be exchanged, ready for planting, according to Nelson Enojo, a staff at the Congressman’s office. The double, pro-environment effect is obvious, because as waste papers are recycled, trees are consequently planted, Enojo told PIA. In the demonstration, a medium-sized stockpot full of “escalante” bananas was cooked using the paper brickettes as fuel, and the fire and heat generated surely did the job as much as the common “uling” can. Present during the activity were Engr. Dominador Clavejo, provincial head of the Department of Science and Technology (DOST), and Gomer Paz, Branch Manager of Philippine National Bank (PNB) and concurrent President of the Southern Leyte Bankers Club. TACLOBAN CITY – An associate justice of the Supreme Court who is from Region 8 specifically from Samar is set to administer Outgoing President Gloria Macapagal-Arroyo oath of office as the new Second District of Pampanga representative. “I am honored and privileged to have been chosen to administer her oath,” Associate Justice of the Supreme Court Antonio Eduardo Bermejo Nachura who in February 2007 took his oath of office as associate justice of the Supreme Court before President Arroyo. The oath taking of President Arroyo will take place in her hometown in Pampanga on June 30 when her term as President ends. Before becoming a member of the High Tribunal, Justice Nachura was the Solicitor General of the Philippines. The honor given to Justice Nachura by President Arroyo is considered an honor of the entire Eastern Visayas people especially the friends, former classmates, and relatives of Justice Nachura. Born in Catbalogan City, Samar, Justice Nachura is a graduate of the San Beda College of Law. He brought honor to Region 8 when he placed 7th in the 1967 bar examinations. In addition, he holds a Doctor of Public Management from the Pamantasan ng Lungsod ng Maynila. From his years as a professor of law and a bar reviewer, Justice Nachura has earned wide respect as an expert in political law. He was the Dean of the Arellano Law School from 1992 to 1994. He resigned as Dean in 1994 to accept an appointment as Undersecretary of the Department of Education, Culture and Sports. In 1998, Justice Nachura was elected congressman in the House of Representatives, representing the 2nd District of Samar. He served in the 11th Congress and the 12th Congress. In February 2006, Justice Nachura was named Chief Presidential Legal Counsel by President Gloria Macapagal-Arroyo. The following month, Justice Nachura was appointed Solicitor-General on March 17, 2006, replacing Alfredo Benipayo. In his capacity as Solicitor-General, Justice Nachura has represented the Republic of the Philippines in various cases pending before the courts, including such high-profile cases before the Supreme Court as the People's Initiative cases decided in October, 2006. CATBALOGAN CITY – The Procurement Service Regional Office 8 under the supervision of the Department of Budget 8 opens its third sub-depot in Calbayog City on June 24, 2010. Located in the new Calbayog City Sports Complex, the depot will sell 300 most common office supplies. Fr. July Gaddi blessed the ‘government procurement service depot with scores of government workers and media in attendance. “I am thankful to DBM for believing in Calbayog,“ Mayor Mel Senen Sarmiento said in his welcome remarks. He stressed that he wanted to purchase quality office supplies without necessarily going to the tedious work of checking the quality, exact number and the prices. With the sub-depot in their midst, the government agencies are then assured of quality and reasonably priced office supplies. “The Calbayog sub-depot is strategically located and can serve, Catbalogan, Catarman and other LGUs,“ stressed Sarmiento. Mr. Estanislao Granados, Procurement Service Director in the Region graced the launching along with Ms. Imelda Laceras, DBM 8 Regional Director. Director Granados surprised everyone when he addressed the crowd in fluent Waray, claiming later that he is from Leyte. The director also revealed that since he is retiring, his attendance in the Calbayog event is his last public appearance. Calbayog Sub-depot is the 10th provincial depot while there are 12 regional depots, accross the country, according to Director Laceras. Both Laceras and Granados emphasized that Government offices are mandated by law to purchase office supplies in the depot which is now more accessible. Atty. Isagani Togonon was assigned to lead the sub-depot along with some six Calbayog City employees deployed by the city government. Laceras said that Procurement Service in the Region's biggest customer is the army as Samar island houses the 8th Infantry Division (8th ID) and three or four battalions. TACLOBAN CITY – One Visayas composed of Western, Central and Eastern Visayas Regions forged a Health Covenant as a result of the recently concluded One Visayas Health Forum at Leyte Park Hotel Convention Center A. The Health Covenant was signed on June 22 by the One Visayas Regional Development Committee composed of the Regional Development Councils of Regions VI, VII and VIII Chairpersons Governor Salvacion Z. Perez for Region 6; and Calbayog City Mayor Mel Senen S. Sarmiento for Region 8, and the representative of Governor Gwendolyn F. Garcia for Region 7. The Health Covenant which will undergo polishing and styling was based on the issues and experiences generated from the participants of the three Visayas Regions in their operations of devolved tertiary, provincial and district hospitals. The Health Covenant is a manifestation of the One Visayas Regions to share and to mentor one another on the best practices on the four thrusts of Fourmula One health service delivery, health regulation, health care financing and health governance. The One Visayas Health Covenant expresses the hope of the member regions to have bigger voice in policy recommendations and courses of action to improve delivery of devolved health services to local government units. Furthermore, the One Visayas Health Covenant underscores that the great impact climate change has on human health. Although Health Secretary Cabral was unable to attend the Forum, she was ably represented by Assistant Secretary of Health Paulyn Jean Rosell-Ubial, who also tackled another topic, the consolidated issues and concerns of the Health sector. The successful hosting of the Health Forum by Region 8 was made possible by the Department of Health Region 8 under the able leadership of Director Edgardo Gonzaga. TACLOBAN CITY – The pupils and the respective families of Governor E. Jaro Elementary School in Babatngon, Leyte are among the 73,000 happy beneficiaries from 174 public school in selected barangay across the country, of the Balik Eskuwela 2010 campaign of the National Grid Corporation of the Philippines (NGCP). The NGCP Balik Eskwela 2010 is set to be in Governor E. Jaro Elementary School at 10:00 o’clock in the morning of June 25 to distribute school supplies consisting of a school bag with 10 notebooks and 3 pencils, to the elementary pupils. The privately-owned power transmission utility and system operator selected the schools from among the thousands of barangays throughout the country where transmission towers, lines, substations and other NGCP facilities are located. Ceremonial handover programs will be held simultaneously on June 25 in the following areas: Pila, Laoag City in North Luzon); Bibincahan, Sorsogon and Oas, Albay in South Luzon; Governor Jaro, Babatngon, Leyte in Visayas; and Cabligan, Davao; Jasaan and Aplaya, Misamis Oriental in Mindanao. Distribution of school supplies began on June 15, 2010, the first day of the new schoolyear. “Balik Eskwela” aims both to support students and their families who may not afford to provide for a few school supplies and also to ensure the safety of children and other residents living in communities near transmission facilities. To help minimize the incidence of electrocution and/or pilferage of tower and line parts in communities, NGCP volunteers at the "Balik Eskwela" activities will educate the children, teachers, and parents on line safety and security. The distributed notebooks carry similar information and reminders from NGCP. NGCP is counting on the support of its partners in the power industry as well as residents and officials of host communities to ensure that reliable and safe electricity is delivered to all its customers. Residents near transmission facilities are encouraged to help monitor and protect the towers and lines from theft and pilferage, which make the system vulnerable to power outages, as well as to observe established right-of-way easement areas to prevent grassfires, forest fires, electrocution and other accidents. NGCP Ormoc Corporate Communications Officer Edna Legaspina in a report said, all measures are being done to ensure that transmission lines, substations and other facilities across the country are in good condition and able to deliver whatever power is available from the generating plants. The corporation operates 19,425 circuit-kilometers of high-voltage transmission and sub-transmission lines and 23,853 mega volt amperes of substation capacity in Luzon, Visayas, and Mindanao.